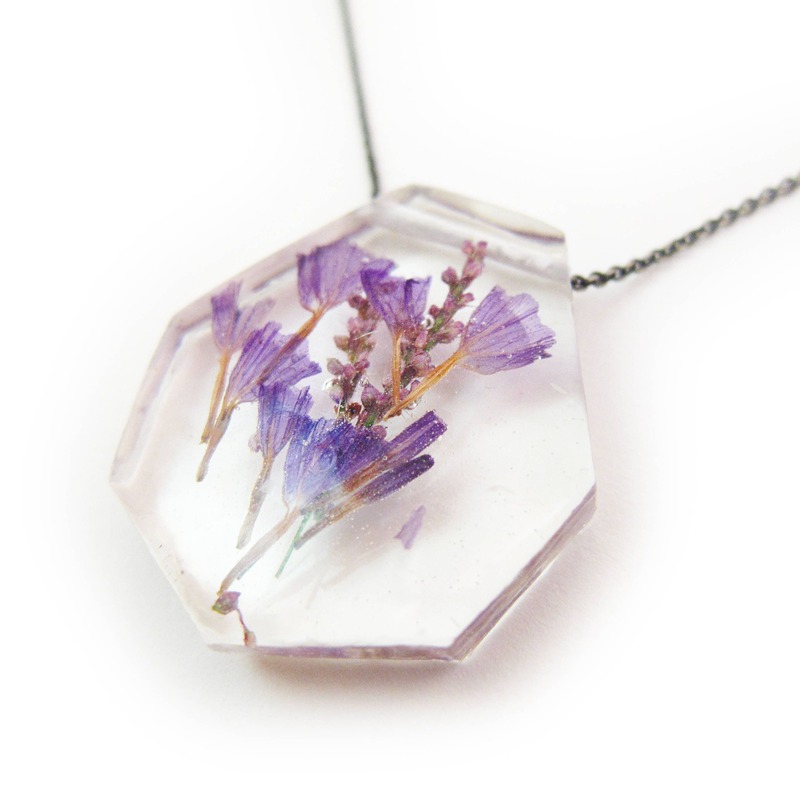 A variety of beautiful flowers suspended in hand cast crystal clear eco resin. A miniture flower bouquet preserved in time. 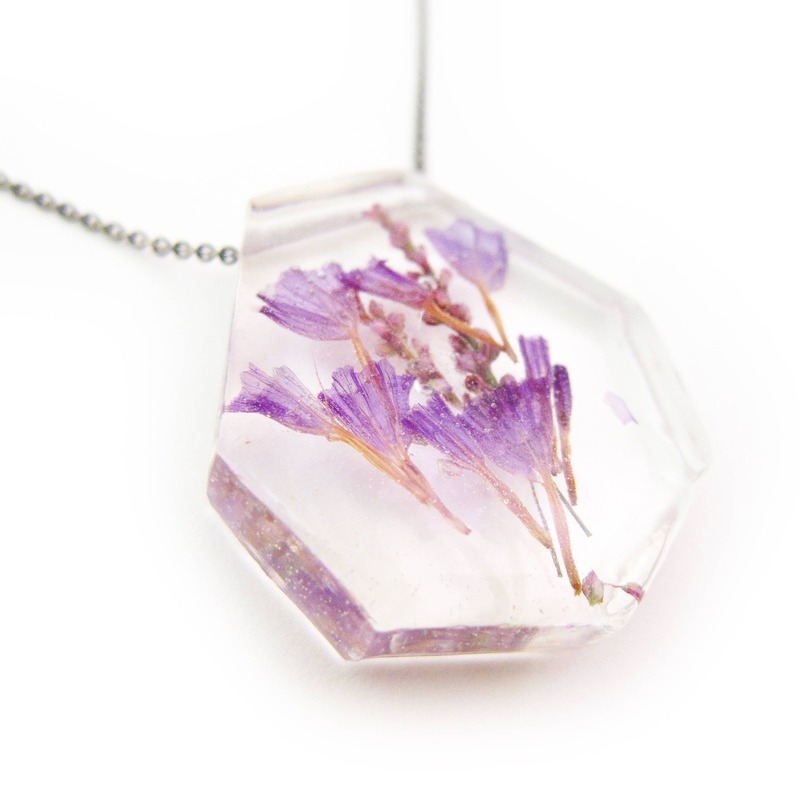 The pendant is a large geometric shape. The chain is a fine-link antiqued cooper with antiqued brass lobster clasp, 18 inches around. The pendant is 1.5 inches high by 1.5 inches wide. It is one of my larger sized pendants. 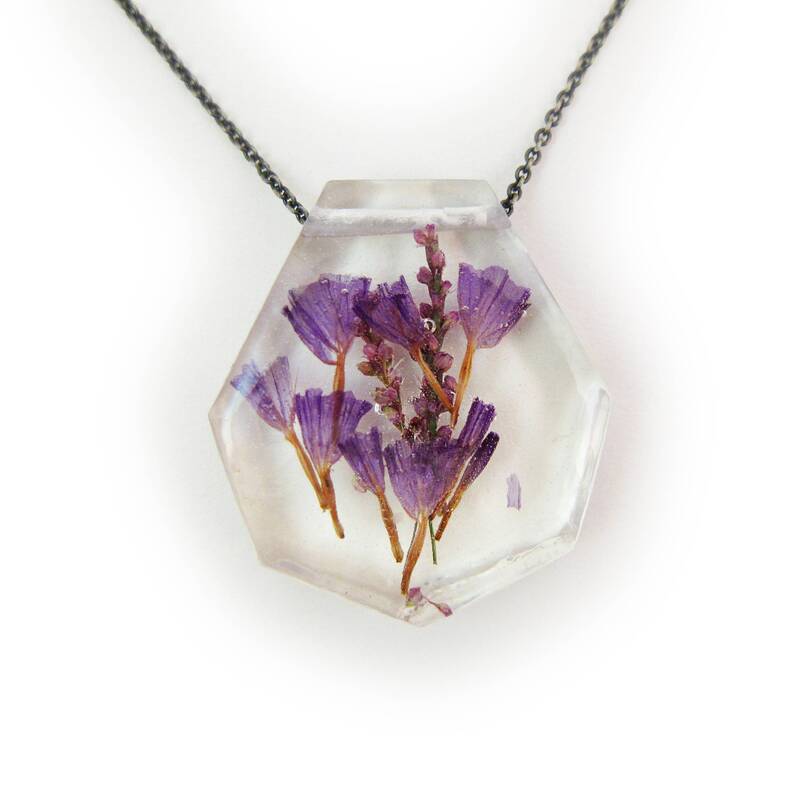 Truly one-of-kind original piece of jewelry, the process is entirely made by hand including the molds. Usually ship out in 3-4 work days. Please note that Squidlicks is not responsible for any international customs fees. I have a no return policy. However, I will be happy to exchange an item or give store credit if the item is defective as a result of the creation process.